Applebee’s Restaurant Kuwait, last updated on 16 March 2019 , is listed under American Restaurants category. It was added to Kuwait Directory Rinnoo.net on 14 March 2014 . 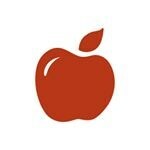 Pages of Applebee’s Restaurant Kuwait on Rinnoo.net have achieved 247,173 views till now. The Applebee's concept focuses on casual dining, with mainstream American dishes such as salads, shrimp, chicken and pasta. Applebee's presently operates about 31 restaurants in the Middle East with locations in countries Saudi Arabia, Kuwait, UAE, Qatar, Jordan and Lebanon.